I can't remember the last time I held a gorgeous eyeshadow palette, but I'm guessing that the last was the Viseart Matte Eyeshadow palette which I ordered from DTCMakeup a year ago. (gasp) Has it been that long? Wow! 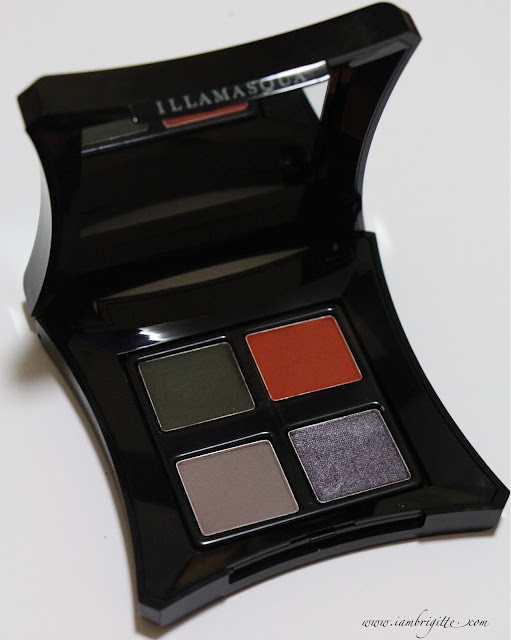 Anyway, today I'd be talking (or writing) about this Nomadic Eyeshadow Palette from the Illamasqua Earth Collection. 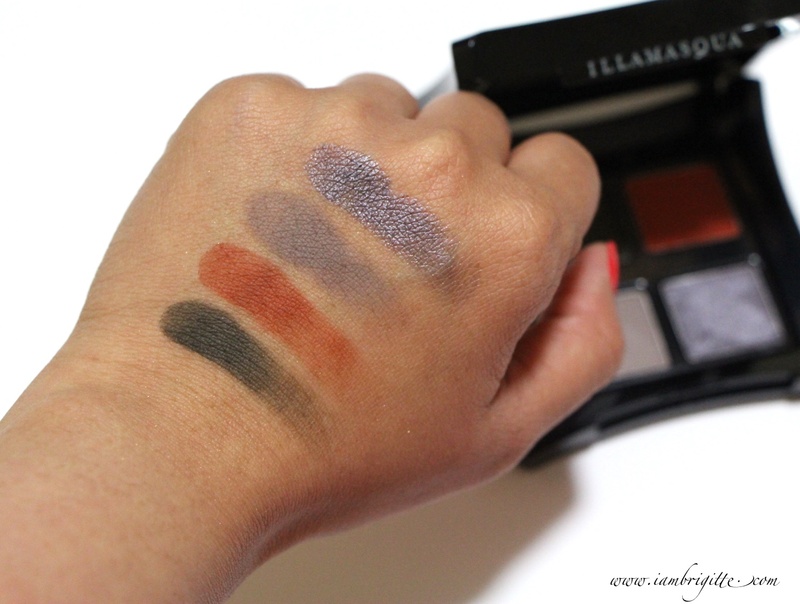 It's my first time to try out products from Illamasqua and I must say I am really impressed. 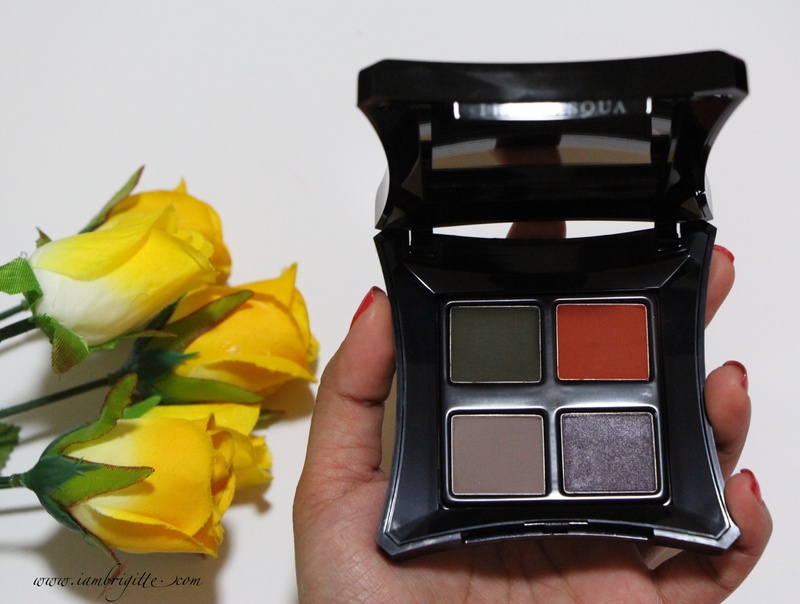 The palette features 4 beautiful shades in either matte or metallic finish. 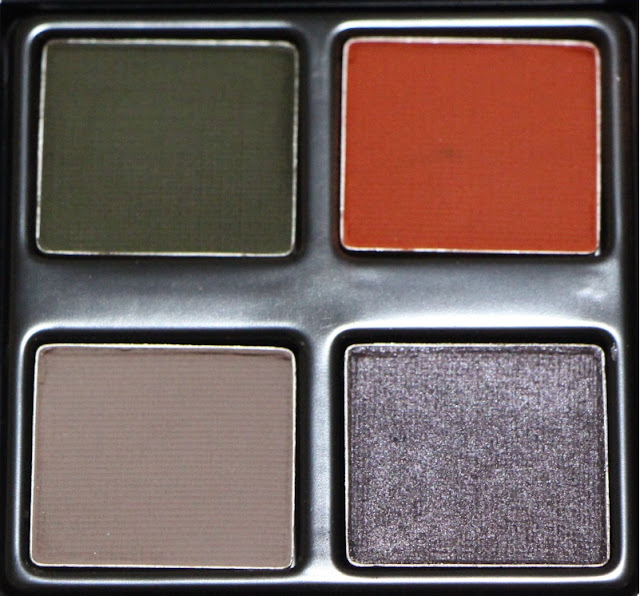 The shades are: Loam (deep earth green/matte), Terra (clay red/matte), Solitude (grayish taupe/matte) and Gravity (pewter gray/metallic). Take note that I didn't use any primer beneath the swatches above and yet the colors are so vibrant. Colors are very vibrant and pigmented even without a primer. They stay put on my oily lids even without a primer. The 4 shades can be mixed and match to come up with a variety of makeup looks. You can even use each of the shade on its own. Just apply all over the lid and blend the edges. The packaging. I like that it's lightweight and it's shiny black, but I hate that I get to see my hand prints all over it. I get so OC that I sometimes use a tissue to hold it just so it won't get marks. I have another Illamasqua palette, the highlighting and contouring one which I am also loving and using in alternate with my Kat Von D. Let me try telling you about that one on my upcoming posts. So, would you mind suggesting other Illamasqua stuff that's worth checking out? I'm quite a newbie to the brand and seriously I want to get myself kicked for not checking them out sooner. Let me know! 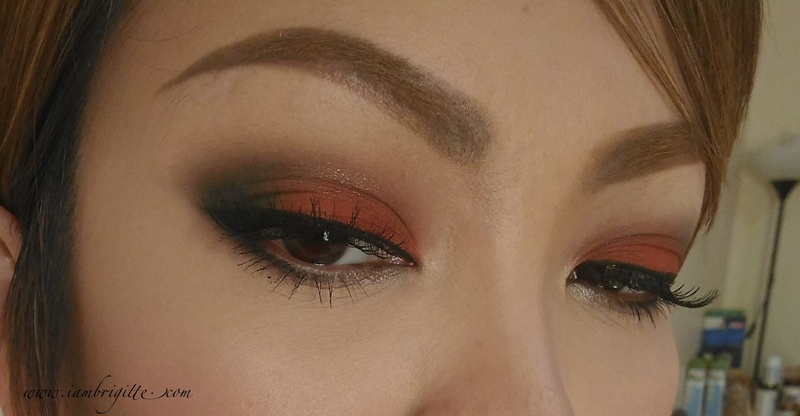 Beautiful EOTD. Comparing it to Viseart matte ES, which do you prefer? Thank you Brigitte, I'm an avid reader of yours. 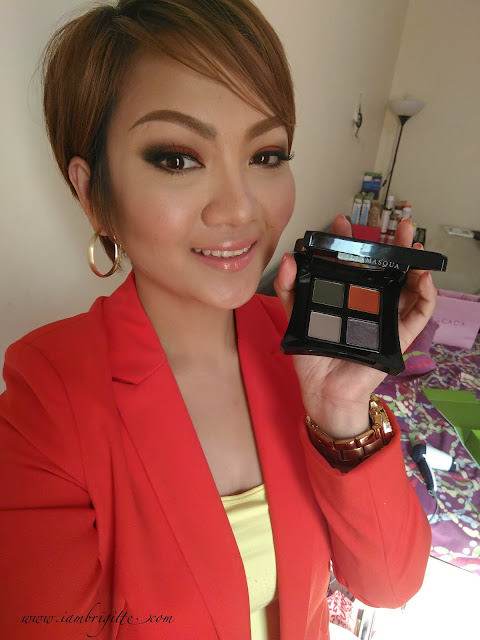 I really love the looks you create, super hanga ako, mas maganda pa sa mga MUA ng mga artista, no bola. I hope you will never stop from blogging because I check your blogs everyday. I really would like to ask about your opinion on UD Naked, I bought Sleek Vintage Romance and I'm super happy with it, I thought start with low end makeups before going to high end since I'm still learning. Then I wanted to buy UD Naked 3 for my 4 girls since lagi silang may school affairs, but the other day na-try ko ung UD Naked 2 ng pamangkin ko and parang hindi ako solve parang mas maganda pa ang color selections and pay off ng Sleek. What is your honest opinion on this? Thank you and more power.